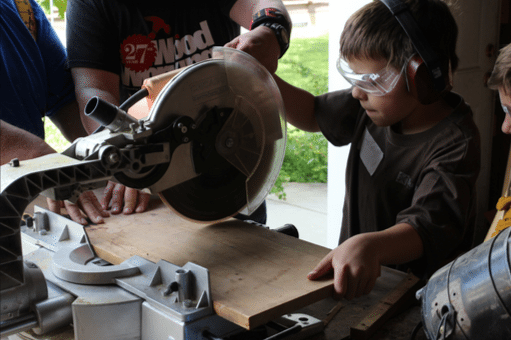 Build Camp is an opportunity for youth 11-18 and children 5-10 to participate in hands on engineering, designing, building, and testing of fun, useful, and exciting projects. In 2015 we built 2 motorized drift trikes, a 7′ diameter hover craft, a spot welder, a Jacobs ladder, a tree house (without a tree), a large billows for a forge, 2 dozen tool boxes, about 18 hand powered pump drills, a couple dozen woodcarving knives, and about 25 wooden toy robots. Come see our drift trikes, hover craft, and other projects, and learn more about our camp.